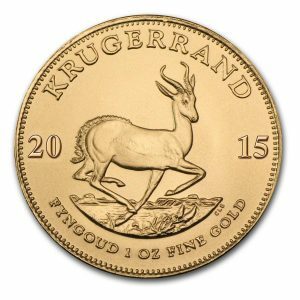 Gold prices have remained relatively steady this week, despite being pressured by a stronger U.S. dollar ahead of a key U.S. Federal Reserve policy meeting this week that could hint at the timing of any hike in U.S. interest rates. Investors will be watching the Fed’s two-day policy meeting that begins on Tuesday for clues on how soon it could raise interest rates. Higher rates could curb demand for gold, which does not pay any interest. A resetting of the likely timing of the first Federal Reserve Funds Rate hike since June 2006 has pushed the greenback higher recently. Expectations for the Fed to begin raising rates were being pushed out to the fourth quarter but now there is a possibility that this may come as soon as June. Last week, global markets were dominated by the currency market as the U.S. dollar continued its unrelenting upward momentum impacting on dollar commodities including gold which ended the week at $1158.60 an ounce. Currency trading is the biggest financial market in the world, with trillions of dollars changing hands every day. Much of the trading is done in the major currencies, in particular the U.S. dollar and the euro, and in recent weeks, we have witnessed some large moves in this pair. The dollar is now sitting at the highest level in 11 years against other major currencies. In the last 12 months alone, it’s appreciated more than 21% against the Norwegian and Swedish currencies; more than 17% against the euro and more than 13.5% against the yen. In Eastern European currencies were also under heavy pressure. The Polish zloty was down 3.6%, the Bulgarian lev fell 3.2%, the Hungarian forint fell 3.2%, the Romanian leu fell 3.2%, the Czech koruna fell 3.1% and the Iceland krona declined by 2.4%. The Russian rouble reversed course and declined 2.9% last week. In other currencies, the Norwegian krone dropped by 3.7%, the South African rand fell 3.5%, the Danish krone fell 3.4%, the euro fell 3.2%, the Swedish krona fell 2.9%, the South Korean won fell 2.7%, the Swiss franc fell 2.0%, the British pound fell 2.0%, the Canadian dollar fell 1.2%, the Singapore dollar fell 1.1%, the Australian dollar fell 1.0%, the Taiwanese dollar fell 0.6%, the Japanese yen fell 0.5% and the New Zealand dollar was down 0.4%. 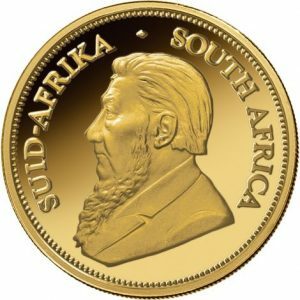 The South African Rand was trading at 12:50 versus the greenback, the lowest level in 13 years. On Monday, Asian emerging market currencies were weaker against a buoyant dollar, with Indonesia’s rupiah touching a new 17-year low. The stronger dollar also impacted on commodities. The Bloomberg Commodity Index dropped 3.1% last week to the lowest level since August 2002. This index is now down 44% from 2011 highs. The 19-commodity Thomson Reuters/Core Commodity CRB Index fell a six-year low. Weakness was notably broad-based. The week saw the following commodities fall. Heating oil 7.3%, coffee 6.7%, lean hogs 6.0%, sugar 5.9%, cocoa 3.8%, cotton 3.4%, natural gas 3.9%, lead 2.3%, nickel 1.7%, silver 2.0%, orange juice 1.5%, corn 1.4% and soybeans 1.2%. Global oil prices tumbled on Friday and fell 9% and (WTI) traded at its lowest level since 2009 to close out the week at a 2-1/2 month low under $45. Benchmark Brent oil settled near a one-month low below $55 a barrel. Meanwhile, benchmark US 10-year Treasuries are now yielding about 2.1%. While super-low historically, this is still vastly higher than prevailing European yields. 10-year sovereign bonds from Germany, France, Italy, and Spain are merely yielding around 0.2%, 0.5%, 1.1%, and 1.2%! So it certainly makes sense for global investors to seek out the superior returns now available in dollar bonds. Even though gold fell around $35 following the latest non-farm payrolls report, the price of the yellow metal has been able to hold at current levels. And, although the price of gold is down by 4.5% this month in dollar terms, it is up by 3.5% in Australian Dollars, up by 6.6% in Canadian dollars, up 11.2% in euros and up by 2.1% in sterling. This parabolic surge in the U.S. dollar has sparked off a chain reaction with central banks all around the world. The central banks of Turkey, Korea, Thailand, Russia, Poland, India and Serbia have all cut rates this month. Earlier this month, the People’s Bank of China lowered interest rates for a second time in a little more than three months. Recently, the central banks of Denmark, Canada, Switzerland, Peru and India have all taken unprecedented and dramatic action to ease policy and weaken their currencies. The Danish central bank cut its main interest rate to minus 0.35% from minus 0.20%, the second rate cut in a week. Canada cut interest rates for the first time since 2010, citing the sharp plunge in oil and its negative impact on the Canadian economy, which depends on oil exports. Now countries such as Denmark, Germany and Switzerland are offering investors negative rates of interest. On Wednesday, Germany issued its first 5-year bond ever with a negative yield, which means investors are making a loss by loaning money to the German government. It sold €3.3 billion ($3.7 billion) of debt at a negative yield of 0.08%, according to the country’s Finance Agency. Yes, this means you invest your money over time in their government bonds and the government gives you back less money than you gave it! The low interest rate environment has forced individuals to speculate and invest in equities in an attempt to generate some return for their investment. After all who in their right mind is going to pay a bank to keep their money? And, as the hard working individual continues to be penalised, global major banks are getting away with a list of crimes. Last week, the U.S. Justice Department is seeking about $1 billion each from global banks being investigated for manipulation of currency markets. According to sources, penalties of about $4 billion are on the table. The discussions, which have begun in earnest in recent weeks, could lead to settlements that would resolve U.S. accusations of criminal activity in the currency markets against Barclays Plc, Citigroup Inc., JPMorgan Chase & Co., Royal Bank of Scotland Group Plc and UBS Group AG. The government has also said it is preparing cases against individuals. (All the usual suspects are here again, yet no one is prosecuted). Prosecutors are also pressing Barclays, Citigroup, JPMorgan and the Royal Bank of Scotland to plead guilty, people familiar with the matter have said. In the worldwide investigation into currency-rigging, six banks have already agreed to pay regulators about $4.3 billion. Barclays reserved 750 million pounds ($1.1 billion) for the currency settlement in the fourth quarter, bringing its total to 1.25 billion pounds. RBS took a 1.2 billion-pound charge in the same period for conduct and litigation, including a 320 million-pound provision for U.S. currency-rigging probes. JPMorgan Chase set aside an additional $1.1 billion, pre-tax, for legal expenses in the fourth quarter, without breaking out an amount for the currency settlement. Citigroup added $2.9 billion in the fourth quarter, in part to resolve foreign-exchange probes. UBS set aside 176 million francs ($175 million) for legal charges in the fourth quarter, after allotting 1.84 billion Swiss francs the previous quarter. UBS, which was the first bank to notify U.S. authorities of possible misconduct in the foreign-exchange market, has been granted immunity from prosecution for antitrust violations, a person familiar with the matter has said. I believe that as the prices of global equities have been driven upwards artificially both shares and the U.S dollar will ultimately crash which will lead to a financial collapse. Although it is impossible to predict when this will happen, the end game is getting closer and this is precisely why it is important to own physical precious metals before this occurs. Indian silver imports hit another record high last year as the price of this precious metal fell sharply. As per latest GFMS Thomson Reuters data, last year India has imported a record 6,842 tons of silver, which represent an increase of 18% over the previous year. In value, however, the import bill fell, owing to the decline in silver prices. Silver imports in 2014 were worth $3.46 billion compared with $3.64 billion in the previous year. Speaking at the Global Mining Finance conference in London yesterday, Dutch precious metals fund manager, writer, analyst and former TV business pundit, Willem Middelkoop, painted a more positive picture for precious metals, following a perhaps downbeat presentation on the prospects for most metals – base, precious and ferrous, by Investec’s Jeremy Wrathall. While Middelkoop feels that gold has to be an excellent investment at current price levels and has to move sharply higher in the medium to long term, Middelkoop sees silver as probably being an even better investment in terms of growth potential in US dollar terms. Newly mined silver production, he avers, is substantially below demand, while over the years above ground stocks have been run down, and unlike gold there are no huge central bank holdings which can be drawn on to hold the price down. 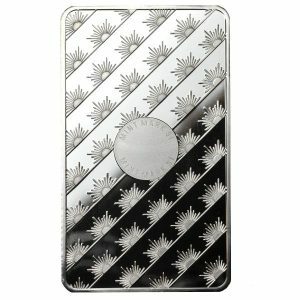 The only real surface silver stocks nowadays are held in the silver ETFs and although these can be a little volatile, much of these remains in strong hands and he feels these overlying volumes will not counter what he sees, perhaps controversially, as the overall supply deficit now prevailing. 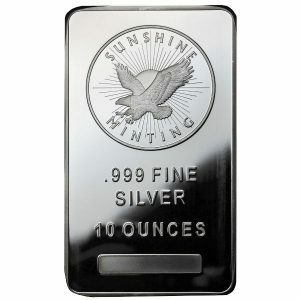 With its comparatively strong industrial demand – a demand which is seen as growing along with the electronics and solar power sectors – supply/demand fundamentals are probably more relevant to silver than to gold where so much more depends on investment sentiment and perception. 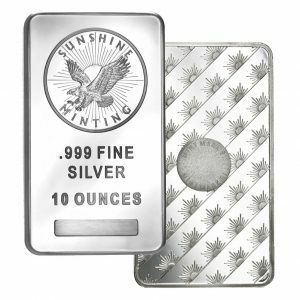 Middelkoop feels that these silver fundamentals will lead to a supply crunch sooner rather than later as, like gold, silver too is flowing East in massive quantities – and he said as an aside that he has taken bets that silver will be over $100 an ounce by 2020.